So you have a Raspberry Pi and you would like to maximize its tiny footprint by turning into a totally stand alone box—no monitor, keyboard, or other input peripherals. Read on as we show you how to set up remote shell, desktop, and file transfer access on your Pi. The Pi, even clad in a sturdy case, is a tiny computer. It’s perfect for tucking somewhere out of sight without a gaggle of wires sticking off of it—for many projects you simply don’t need a permanent monitor and peripheral accompaniment. That doesn’t mean, however, that you won’t need to connect to the box to make changes, update things, transfer files, and so on. A perfect example of this is the cool little rain indicator we built as part of our Build an LED Indicator with a Raspberry Pi (for Email, Weather, or Anything) article. It doesn’t need all that stuff attached right to it, but we still would like the ability to hop onto the device and easily make changes or try out a new experiments with the LED module without having to drag it back into the workshop, and hook it up to a monitor, keyboard, mouse, etc. By configuring it for remote shell, remote desktop, and remote file transfer, we make it super simple to always interact with our Pi unit from the comfort of our desktop computer as if we’ve hooked the unit up to a full work station. If you’re brand new to working with the Raspberry Pi, we strongly suggest checking out The HTG Guide to Getting Started with Raspberry Pi to get a handle on the basics of the device and get up to speed. A Raspberry Pi running Raspbian. A local Wi-Fi or wired network to connect the Pi and your computer. 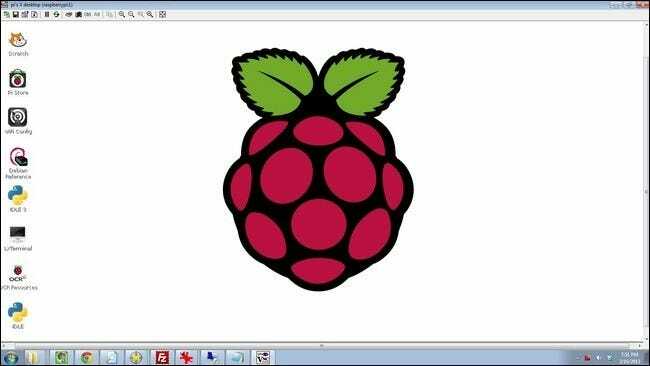 First, most of the steps in this tutorial should work with other Linux-based Pi distributions but we’re going to be using Raspbian. You should have little trouble adapting the tutorial to other distributions. Second, we’re using a Windows machine as our networked computer to interact with the Raspberry Pi unit as the remote head/interface. When appropriate, we’ll do our best to link to tutorials and suggested reading regarding performing parallel tasks and tools on OS X and Linux. Remote command line access to your Raspbian installation is about the handiest little tweak you can make to your system, and it’s down right simple to enable. Navigate down to ssh and hit enter. 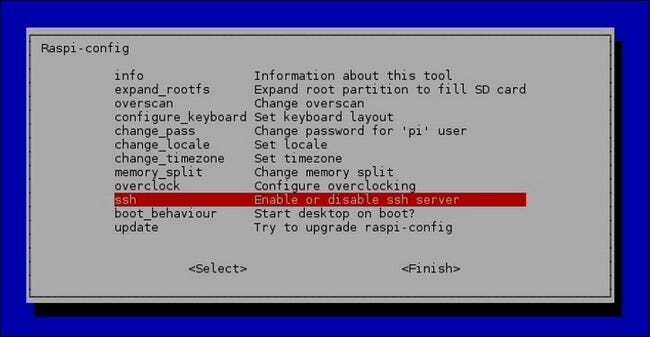 When prompted about the SSH server, select Enable and hit enter again. You will be returned to the Raspi-config panel; navigate down to Finish and hit enter to close out the configuration tool. That’s all you need to do to turn on SSH access to your Pi. The default SSH login and password is pi and raspberry, respectively. While you’re still sitting at the command line, now is a great time to check the IP of your Raspberry Pi unit on the local network. Type ifconfig at the prompt and then look at the output of the command. If you’re using the Ethernet port you want to look for the init addr in the eth0 section; if you’re using Wi-Fi, you want to look for the init addr in the wlan0 section. In addition to checking and noting the IP address, this is also a great time to set up a static IP entry in your router so you don’t have to hunt for the IP in the future. 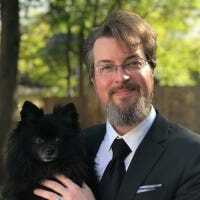 Now that we have the SSH server enabled, we know the login, and we know the IP address of the machine, it’s time to connect in via SSH and test it out. To do so from Linux and OS X you can simply use the ssh command at the terminal. Windows users, however, will need an SSH client like PuTTY. Once your SSH connection is functional, you could technically complete the rest of this tutorial remotely from the comfort of your desk—although we’d advise leaving the head and keyboard on your system until you have finish the whole project and have everything running smoothly. Before we move on, there’s some extra functionality we can squeeze out of SSH. In addition to managing the command line remotely, you can also remotely transfer files using Secure Copy. It’s command line intensive and not particularly convenient for transferring a large number of files sourced from multiple directories, but for a one-off configuration file transfer or other small dump, it’s pretty handy. Check out our guide to copying files over SSH using the SCP command here. We’re going to be looking closer more user-friendly/GUI-based file transfer techniques later in the tutorial. Remote command line access is awesome, but so is having access to the desktop for GUI-focused activities. Let’s bring the powers of the command line and the powers of the desktop together. Will prompt you enter a password to access your VNC desktop—as seen in the screenshot above. The password needs to be 4-8 characters long. Once you confirm the password, you will be prompted to set a view-only password (you can opt out of the step, as we did). This command changes the ownership of the .Xauthority file back to the user pi—for the curious, the .Xauthority file is used by the X-windows system in Rasbian and something during the TightVNC server installation and configuration process causes that little permissions hiccup. With that little minor detour out the way, let’s get back to finishing our remote desktop configuration. Now that we have full command line and desktop access to the Raspberry Pi, there’s one not-so-trivial tweak we need to make. The Raspi-config tool set the SSH server to automatically start on boot for us, but the VNC server is not yet configured in such a fashion. You can skip this step and manually start the server at the command line via SSH when you need it, but we’re trying to make this as fuss-free as possible for future use. Let’s take a minute now and create a startup file for the VNC server. In addition to modifying the screen resolution portion of the script, there is one other thing you can modify. In line 14 you can change the command “su pi -c” to any other user account besides “pi” if you wish to VNC to the specific desktop for that account. Once the system has finished rebooting, log in with your VNC client. If your VNC session fails, visit the command prompt and run the tightvnc start command (from the test portion above) again to double check that the file is executable and that the password was saved properly. At this point, we’re even further along in our mission to totally remote-control our Raspberry Pi unit. With remote command line access via SSH and remote desktop access via VNC under our belts, let’s move on to simplifying the process of transferring files between our Pi and desktop computer. Since we already have SSH set up, the easiest way to set up dead simple file transfer between our Pi and remote computers is to piggy back a GUI interface on the SSH connection. Remember how we talked about using SCP over SSH earlier in the tutorial? Running it from the command line gets real tedious, real fast. With a GUI wrapper, we’ll be able to spend more time moving files and playing with our Pi and less time pecking at the keyboard. While there are a variety of GUI wrappers for the SCP command, we’re going to go with a cross-platform tool that many people already know, have, and love (and may even be unaware that it does SCP transfers): FileZilla. It’s available for Windows, OS X, and Linux—you can grab a copy here. 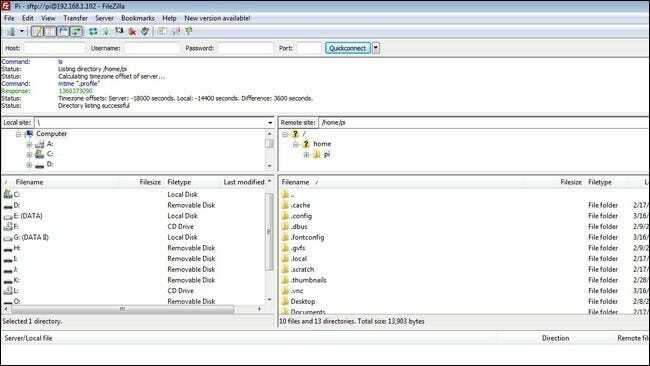 Once you have installed FileZilla, fire it up and go to File –> Site Manager. Create a new site entry, name it, and plug in user name and password for your Pi. Your local directories are in the left-hand pane and the remote directories on the Pi are in the right-hand pane. Moving files between the two is as simple as drag and dropping them. 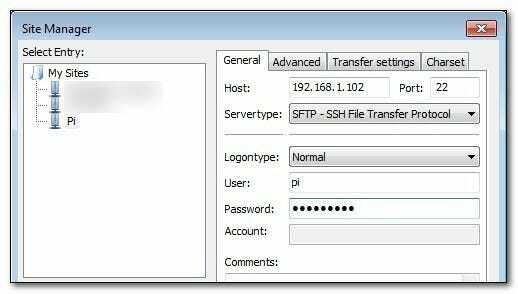 Taking advantage of the existing SSH file transfer is the easiest way to get at the files on the Pi with no additional configuration necessary but if you want to configure your Pi to receive and share files without the remote user requiring any fancy tools (like an SCP capable FTP client such as FileZilla), we highly recommend checking out the Samba configuration portion of our guide: How to Turn a Raspberry Pi into a Low-Power Network Storage Device. Reading over that will familiarize you with setting up a basic Samba share on Pi to create a shared folder easily accessible by just about anyone on your network without any additional tools. 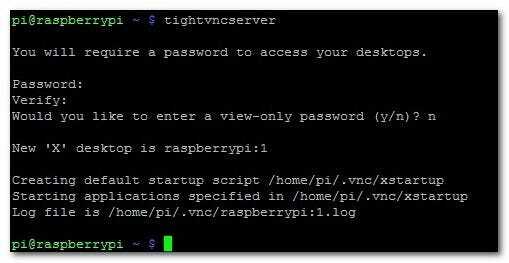 You’ve configured SSH, you’ve configured VNC, and you’ve set up simple SFTP and/or Samba access to your Pi—at this point you can boot down your Raspberry Pi, strip away the monitor, keyboard, and mouse, and tuck it away as a silent and headless machine. 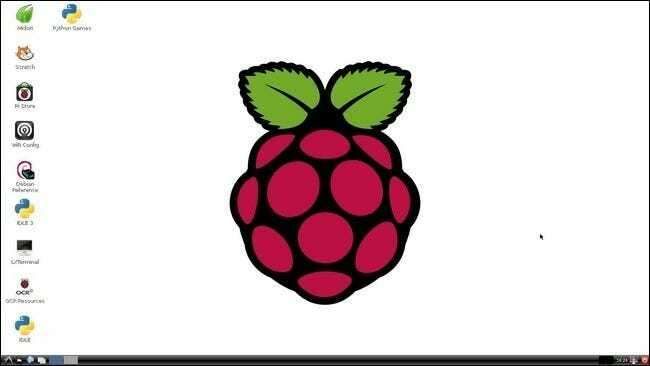 Have an idea for Raspberry Pi project and you’re dying for us to write a tutorial for it? Sound off in the comments or shoot us an email at tips@howtogeek.com and we’ll do our best to help.